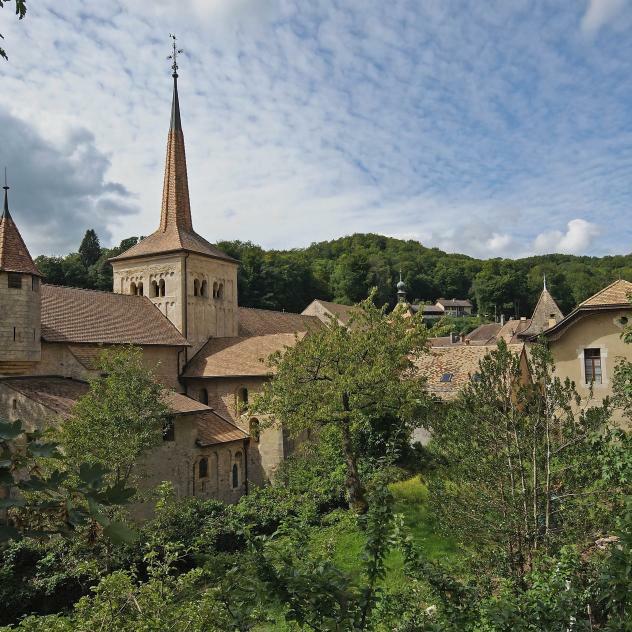 Departing from Romainmôtier, an exceptional example of Cluniac architecture in the Yverdon-les-Bains Region, the Heritage Trail takes walkers on a discovery of the unspoilt natural beauty of the Nozon Valley with a wealth of historical points of interest along the way. Well worth the walk! The Heritage Trail wends its way through the Nozon Valley between La Sarraz and Romainmôtier. This trail of just over 10 km, strewn with vestiges of the area’s industrial heritage, takes about 3 hours to complete. Departing from Croy-Romainmôtier, hikers will discover a variety of environments, from lakes and rivers to cliffs. All through history, mankind has left his mark on these unspoilt forests: prehistoric stones with strange and enigmatic signs, furnaces previously used to reduce iron ore, limekilns, quarries for mining stone or extracting the magnificent basins of the fountains of our Vaudois villages. At times steep and wet, the path can be hiked at all times of the year.